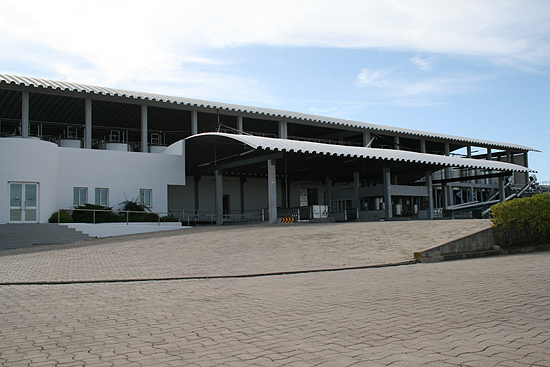 This is a beginning of a series of wineries in the Alentejo region in Portugal. I was based in the amazingly charming and very historic town of Évora. Enoforum Wines was my host, while I was introduced to the Wines of Portugal. At some point, I’d love to return to explore the spectacular beauty of the Douro… as a follow-up… as well as returning to where my heart was stolen, in Alentejo. Winemaker Rui Veladas of Carmim Winery is based in the town of Reguengos de Monsaraz, a municipality of the Évora District, in Portugal. It has 11,000+ inhabitants, and is about 90 miles as the crow flies south to the Atlantic Ocean. It’s also just a few miles west from the border of Spain. I haven’t been to Spain, but Rui pointed out the mountains of Spain, just prior to lunch, when we were atop the Castle of Monsaraz. To know how rural and small Reguengos de Monsaraz is, is to appreciate this village’s place in the Alentejo. You can see on the map above, that there’s not much but countryside to be enjoyed… Which, for the residents there, is a lot. 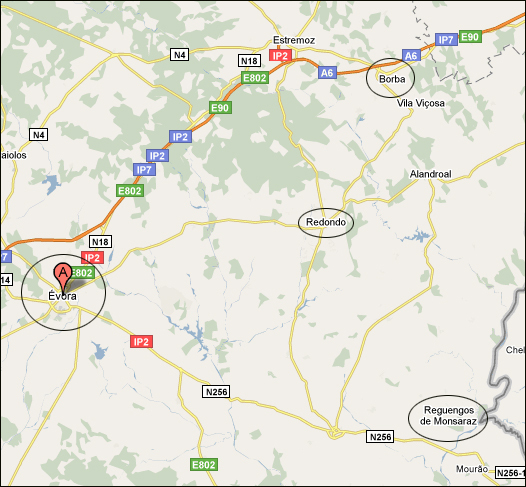 Notice its proximity to the border of Spain (dark gray line). Upon arrival at Carmim’s winery, I was immediately taken to vineyards, where their wines grapes are grown. It was one of the most delightful vineyards I’ve ever visited, and I’ve been in copious amounts vineyards. Today, it takes a lot to wow me, as far as vineyards go, because I’ve seen so many in so many places… I was totally wowed. I’ve given you the background of how small this village is because it’s relative to the size of Carmim’s winery. Also, notice the cobblestone driveway above. Portugal is the land of stones being used for walk and driveways. It reminded me of living on Lisbon Street in my youth, a town that used to have all cobblestone streets. (Coincidence? I’m thinking not, and now I have to dig up the history of Lewiston, Maine, because my curiosity has been really piqued.) Consider how small the town is, and how large this winery is in comparison, and you now understand that it’s a major factor in this village’s commerce. 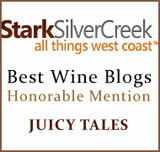 We drove only a few miles to the Carmim vineyards, and I quickly spied that we weren’t in a usual vineyard for me. Each row that we passed had a couple of sheep in it that were off in the distance. 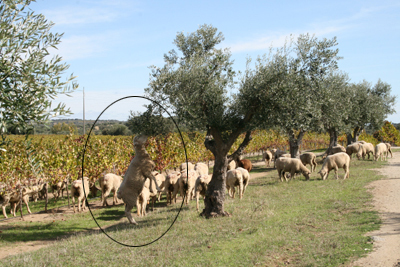 We were allowed to get out and take pictures of this… Gringa that I am, I was completely amazed that sheep could live in cooperation with a vineyard. It makes total sense, but I had yet to see this in action. When we entered through the original gate onto the property, we forgot to shut it, so for a while the sheep went a wandering, the way sheep do. The vineyard manager was able to redirect the sheep back to us, and that’s when I learned that it wasn’t a few sheep. It was an entire flock. And they like olives. Notice the one sheep that got himself a mouthful in the image to the left. 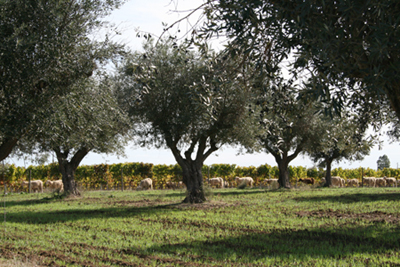 In the next photo, you can also see the backdrop of vines, the sheep walking through them, and the olive trees in the foreground. 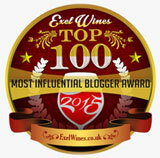 It might seem like I’m drifting from Carmim’s winery story, but this is all part of it. The respect of the relationship and unity among man, animals, and plants. This is such a healthy ecosystem, and just one of many for me that proved Portugal is far ahead of the United States and the ways we think in terms of ecology. I’ll be sharing a lot more thoughts as I go along. Let’s just say, I’m not surprised that Gabriella and Ryan Opaz of Catavino left the United States and moved to the Iberian Peninsula. 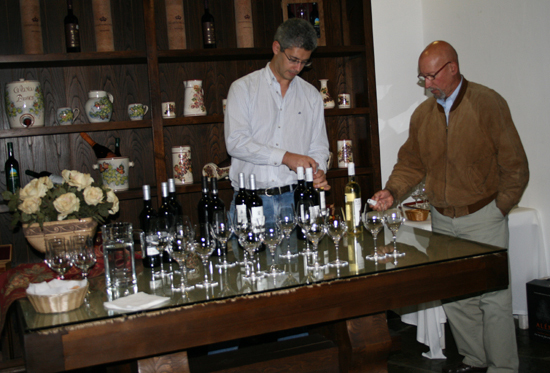 Tasting through Carmim’s wines with Rui Veladas was an amazing experience. This proved to me once-and-for-all, and beyond a shadow of a doubt, that terroir plays a major role in the flavors of wine. This region is extremely dry with a good amount of heat in the final days of summer and ripening. To receive only minimal amounts of irrigation, based on the heat and water index, should tell you that these wines were constrained and offered a reserved flavor profile. Bingo! That’s what they delivered, and they were fabulous. 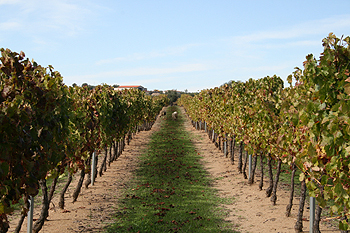 This region of the Alentejo produces the everyday value, enjoyable wines of Alentejo. According to Delfim, it’s important to note that Julius Caesar was in this area as a commoner during the BC years. Caesar was born on July 13, 100 BC, and died March 15, 44 BC). He became rich in the Alentejo, and went back to Rome through the Iberian Peninsula as a rich man. Julius Caesar got control of Portugal’s riches (gold and other minerals being a big part of this), and went back to Rome, where he bought votes to take over the power of Rome. 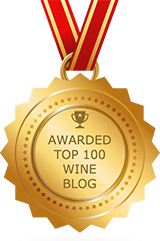 Today, the riches still exist, and this time, it’s the wines that will dominate the world market. Olive oil is also part of what is being offered to the world as a world class product, which I’ll get to later. Reguengos de Monsaraz: Reguengos = an old Portuguese name for land of the kings + Monsaraz = area ~ Land of the kings area… riches beyond belief. 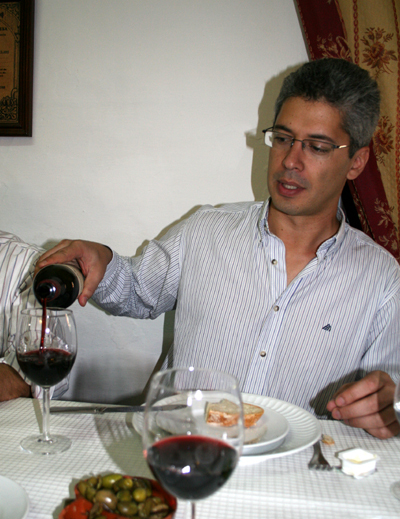 Pictured with Rui Veladas is José Fonseca, winemaker for Enoforum Wines ~ Évora. 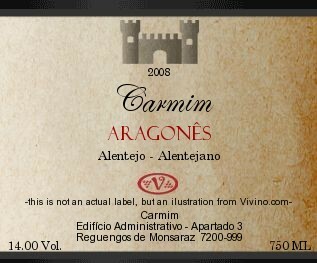 Carmim Aragonês 2008 (Alentejo) ~ The grapes for this wine are manually harvested by their members. (Coops rule in the Alentejo, and this is another entire story to be told, at a later date.) Fermentation period was about 10 days. This wine aged for six months in French oak barrels. The flavors reminded me of boysenberries macerated as fresh fruit over vanilla yogurt. I tasted African violets plants during watering (I propagated them for about 12 years), strawberry rhubarb pie that delivered a sweet aroma on the nose, but no sweet was delivered to the palate. This wine costs $8 Euros, $11.89 US. It’s worth every penny. As with all of these Alentejo wines that I’m going to be writing about, the lack of irrigation has produced restrained wines, that will pair well with dishes having a rich complexity: Pot roast, cheese dishes, -the obvious one- lamb dishes with rich vegetables drenched in sauces. 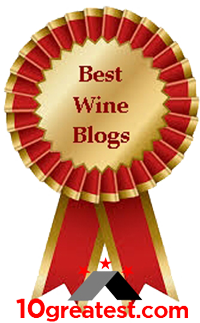 The Carmim Aragonês 2008 (Alentejo) is a superb wine that delighted on my palate as a wonderful introduction to the wines of the Alentejo. 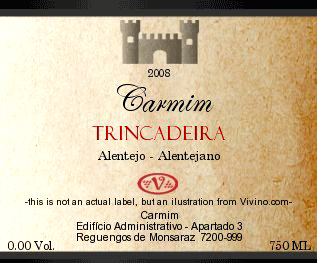 Carmim Alicante Bouschet 2007 (Alentejo) ~ Grown in this Mediterranean climate with very hot, dry summers and cool winters with concentrated periods of rain, this wine, if blindfolded, I’ll always be able to pick among all others. There’s a eucalyptus mint quality that goes with this wine, and this one delivered classic varietal aromas right on time. I also, not surprisingly, got black and green olives with an extremely bright sensation on the palate… lively and fresh. This one I’d balance with chocolate sauces and maybe an Oaxacan Pork Mole. Again, cost is $8 Euros, $11.89 US. There is so much story to tell about our visit to Carmim with Rui Veladas. We lunched at the castle depicted on their labels, we tasted in their tasting room with Enoforum Wine’s winemaker José Fonseca on hand (he’s pictured about with Rui to Rui’s right) We toured their winery that has so many antiquities that that’s a separate blog posting… amphoras left by the Romans, for instance. This is enough for today, but I will be revisiting our day at Carmim, because it was so special and extensive.